Kitchen Cabinets Edmonton | Local Pages | Merit Kitchens Ltd.
Undergoing a new kitchen renovation can be a challenging process if you’ve never experienced it before, but it doesn’t have to be. By arming yourself with the right knowledge, you’ll be well on your way to a smooth renovation featuring some of the most stunning kitchen cabinets Edmonton customers can select. The first thing you’ll want to consider is the space and size of your kitchen. Knowing the dimensions will make the renovation process significantly easier. When searching for the right supplier, ensure their cabinets are manufactured using premium materials and environmentally friendly products, and are covered by a lifetime warranty. Positive customer feedback and service going above and beyond the ordinary are also a must. Merit Kitchens is a prime example of such a company. Merit Kitchens was established as a small cabinet manufacturer in 1971. Since then we have grown exponentially. We now craft kitchen cabinets for homes throughout North America, Central America, and parts of Asia. We have an innovative team of craftspeople, designers, technical specialists and customer care representatives. 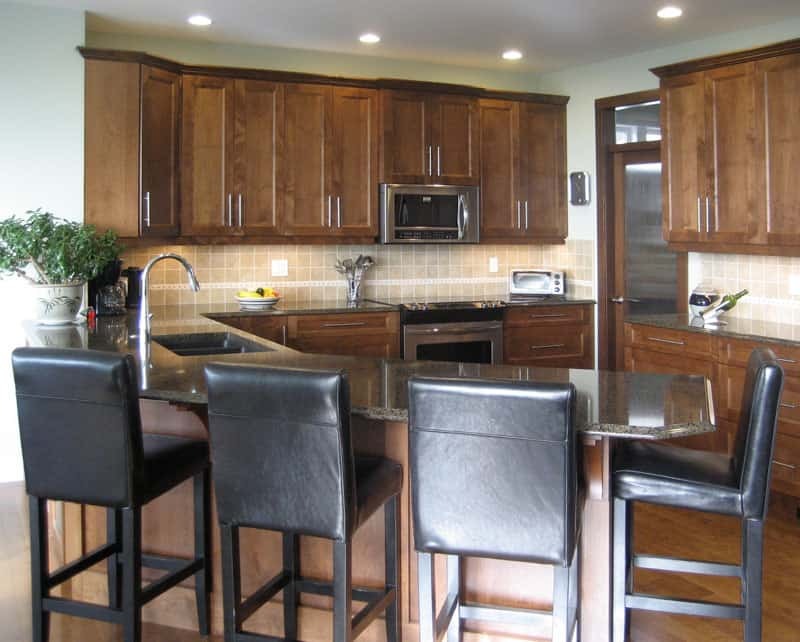 Our diverse and experienced team creates some of the best looking kitchen cabinets Edmonton can offer. Click here to see our products! If you’ve envisioned a kitchen design of your own, we can create it. Simply send us your plans and dimensions. When you select Merit Kitchens, you’re choosing the most durable and attractive kitchen cabinets in Edmonton.